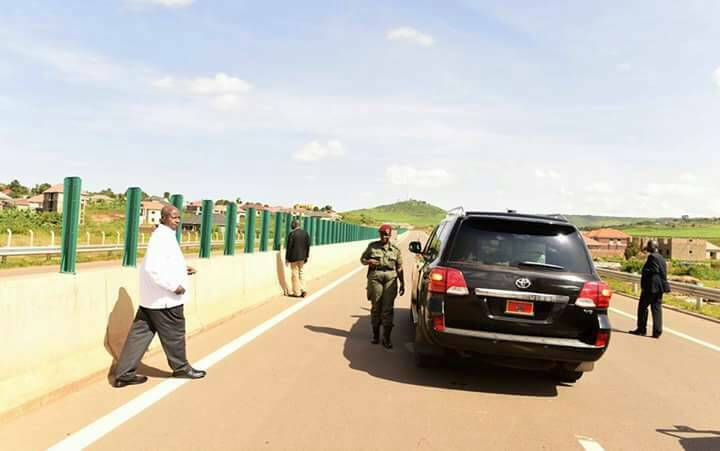 KAMPALA – President Yoweri Museveni is expected to commission the multi-billion Kampala-Entebbe Expressway on Friday. According to Uganda National Roads Authority (UNRA), the main objective for the construction of the Kampala-Entebbe Expressway Project was to decongest the Central Business District and enhance trade movement through, within and out of the Greater Kampala Metropolitan Area. The Authority pointed out that urban congestion is increasing in Kampala at an estimated 4.5% rate annually. Increased motorization, as such rendered the roads insufficient leaving Kampala grappling with heavy traffic jams. 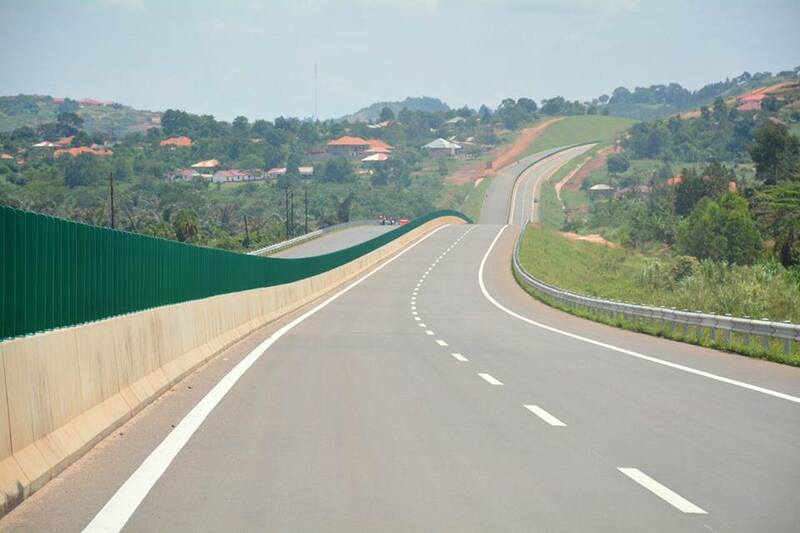 The 49.56Km road has a 4-lane dual carriageway comprising of 36.94Km road connecting Kampala Northern Bypass at Busega to the Kampala-Entebbe road at Mpala and 12.62Km from Kajjansi to Munyonyo through Lweza as well as an interchange built at Kajjansi for purposes of this connection. Kampala-Entebbe Expressway boasts of a number of structures including; 19 overpass bridges, 44 Box, Slab Culverts and 17 Underpasses, as well as Four major bridge structures at Busega, Nalukolongo, Kaggwa and Nambigirwa, 3 interchanges located at Busega, Kajjansi and Abaitaababiri, and 3 Toll gates to be located at Busega, Kajjansi and Mpala. The Kampala-Entebbe Expressway starts from Busega Interchange and is aligned to the South direction to Kajjansi Interchange, joining the existing Kampala-Entebbe road at Mpala Interchange. From Mpala to Entebbe follows the existing Entebbe Highway and ends at the gate of the Entebbe Airport. The first 24.9km (Busega Interchange to Mpala Interchange) is along a new route (toll expressway) while the remaining 12.04km is along the existing Kampala – Entebbe route where 7.4km are to be widened and 4.64km to strengthen the existing road section by applying an additional pavement layer of overlay Asphalt. The second part of the project is the Kajjansi to Munyonyo Spur which starts from the main expressway at Kajjansi Interchange and is directed to the East through Lweza and connects Munyonyo a prominent resort and convention suburb of Kampala, located at the northern shores of Lake Victoria. China Communications Construction Company undertook the works at $476M equivalent to Shs1.8 trillion. Exim bank China provided $350M (app Shs875b) payable at a 2% annual interest representing 73.58% funding while the remaining portion $126M (Shs315b) equal to 26.47% was to be provided by the Uganda Government of which, Shs123b was to go into land compensation. Beijing Expressway Supervision was awarded the contract to supervise the project executed by two Chinese firms, CCCC and Mott MacDonald. Originally expected to be completed on 18 November 2017, the finishing date has been revised to November 2018, pushing the original project duration from 60 months to 72 months. Are the scandals over and done with? The dirt surrounding the execution of the Kampala-Entebbe Expressway first came to light in 2016 during a scrutiny of an audit report conducted by the Auditor General’s office by the Parliament Committee on Commissions Statutory Authority and State Enterprises (COSASE). In one of the Audit findings, it was disclosed that the China owned China Communications Construction Company (CCCC) solicited for the contract after the delegation from the construction company walked into UNRA offices in Nakasero and presented a proposal showing that they had found remedy for the congestion along Entebbe Road, which was construction a new road. After presenting their proposal, the UNRA team fell for it and gave a green light to CCCC to work on the designs. But when Auditors scrutunised the designs by CCCC, they discovered that the price of the works was exaggerated by Shs5,675,412,346Bn. During the meeting, Eng. David Luyimbazi, former Director Planning, at UNRA told MPs in November 2016 that an earlier feasibility study conducted by Government in 2006 with plans to widening Entebbe Road fell flat after results showed that the money that would go into compensating people along the Entebbe Road was higher than the money that would go into construction of the widened road. On why UNRA relegated the duty of making designs for the road to the Chinese, Luyimbazi admitted that UNRA had no capacity to carry out its own designs, yet when the Chinese delivered the designs, they were found not in conformity with the standards of Uganda but instead, the standards used were China’s. It was later revealed that instead of undertaking a competitive bidding process, the Ministry of Finance asked UNRA to discard the Ugandan laws in preference for China laws. However, the auditors rebuked the decision taken by UNRA, arguing that had other bidders been brought on board, Ugandans would have got value for money. The Auditor also highlighted that CCCC charged UNRA USD476M on the 51.4Km Kampala-Entebbe Expressway, compared to USD612 for a similar 84.7Km road in Ethiopia. When the subject came up for discussion, Luyimbazi rejected the move of comparing the roads in the two countries saying Kampala-Entebbe Expressway has 3 bridges, saying these were the largest cost driver of a road. 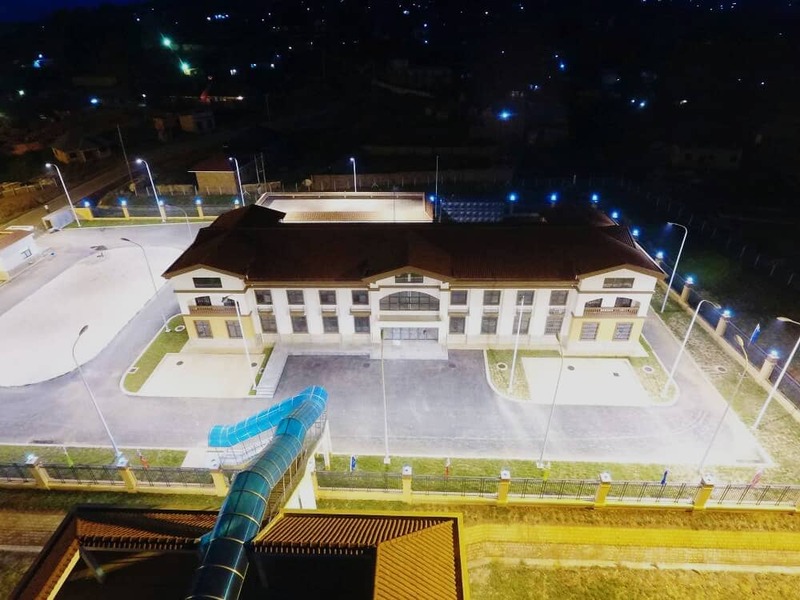 However, an international Consultant hired by the Auditor General told MPs that the bridges Luyimbazi was bragging about were unnecessarily too wide and that could have greatly contributed to the high price. The Consultant pointed out that the bridges were put in swamps, yet the construction industry has lesser costs of treating swamps and therefore there was no need to use huge bridges. As if that wasn’t enough, the Chinese contractor CCCC was found guilty of price exaggeration through the computing process to a tune ofUSD111,986USD and the money is said to have been recovered by UNRA.